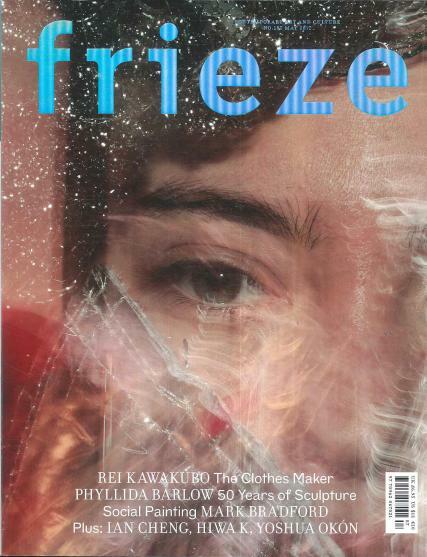 Frieze is a magazine of contemporary art and culture launched in the U. K in 1991 with eight issues being released annually from their London headquarters. Buy a single copy or subscription to Frieze magazine. Its independent bi-lingual version Frieze d/e published quarterly in both the German and English languages was launched in 2011 and is being released from their office in Berlin, Germany. The management is common to both, the magazine and the Frieze Art Fairs of London and New York. The most forward thinking international writers, artists and curators of modern day contemporary art and culture are the regular contributors of essays, reviews and columns to the Frieze magazine, eminent ones among them getting featured by invitation on their Frieze Masters programme. The principal attraction of the magazine is its column, Shows. Connoisseurs of art being their prime target audience are provided with the option of selection of current shows and making their opinions heard.